Your interview made a great impression on a prospective employer and the job’s yours if you want it. Of course the answer’s yes. Or is it? During the application process, it’s all too easy to focus on selling yourself to the exclusion of considering what you might be buying in to. That’s why it’s important to do your homework on any company you might want to work for. Establishing (sooner rather than later) during the application process whether it’s going to be a happy place to work or not could save you a lot of hassle and heartache. Not all job descriptions provide details of the vision of a would-be employer and how they intend to achieve it. Even if you are applying to a well-known company, delving deeper might reveal hidden aspects of their operations that you weren’t aware of. It pays, therefore, to do your research and look them up online. Do they share the same values as you? Do they operate in any way that you are uncomfortable with? The organisational ethos will also give some clues as to the working environment. Aside from the mission statement and strategy, what does the company literature have to say (or not!) about investment in its people? Does is talk about the wellbeing of staff? Are there examples of initiatives to promote respect for diversity and equality? Are women well represented in senior management? Are employees regularly consulted? All these are positive indicators of an employer with core people-centred values – one which is much more likely to nurture a positive and creative space in which its workers feel appreciated, empowered and included. Learning what a company is formally all about should be straightforward to ascertain. Lofty principles and policies are a good sign, but they don’t automatically guarantee a happy workplace. So how do you find out what it’s actually like to work there? This is where a spot of networking comes in handy. Does your professional or personal address book include someone who works for the firm you are applying to (or who knows someone who does)? Online professional networks have made it a lot easier to connect with your working peers and their colleagues through an extended network. Making a polite request for an insider perspective could give you a good sense of how people behave there and what is expected of them at work. If you are interviewed for the job on site, you may well be taken to meet the team. 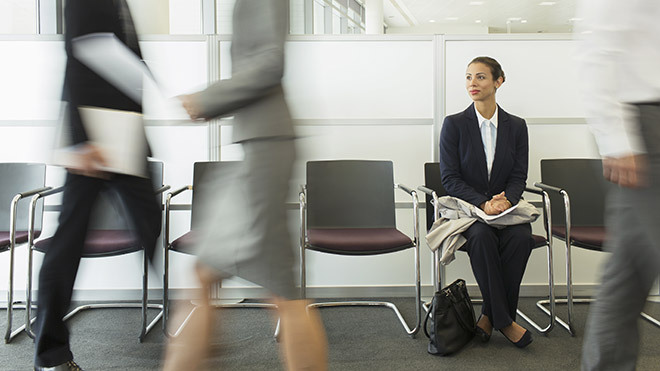 Even if this isn’t possible, try to notice the atmosphere as you go to and from the interview room. Is it an intense or relaxed environment? Noisy or quiet? Upbeat or depressed? Ask your interviewers directly about dress codes, timekeeping, or any approaches to work and being at work that you prefer. Each bit of information you can glean will help build a fuller, more reliable picture. You have explained to the interview panel how you would bring a whole host of valuable skills and personal qualities to the role. And you want to keep on growing professionally. Ask them to explain how the company assists the career development of staff generally (for example, through training and routes to promotion) – and what specific opportunities for progression may be possible through the role you are applying for. When all is said and done, joining any new organisation will always involve some level of risk – that’s what makes it so exciting! By doing some sensible sleuthing around your possible future employer, you can look forward with more confidence and less trepidation to a new chapter in your working life. For more advice and information on acing your interview and the whole application process, see workSMART’s Getting a Job section.